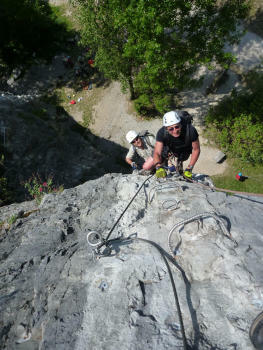 Created in october 99, this urban via ferrata is quite original. 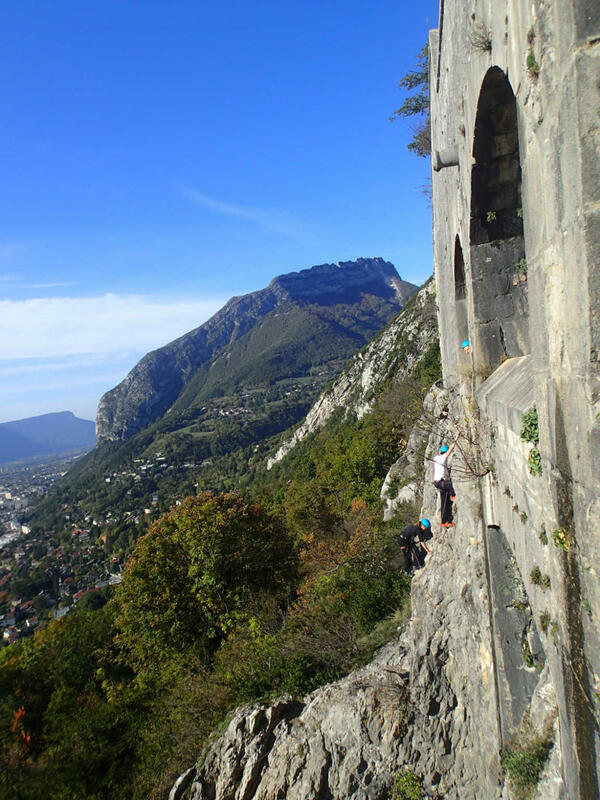 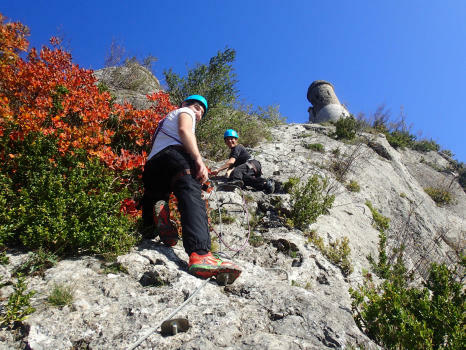 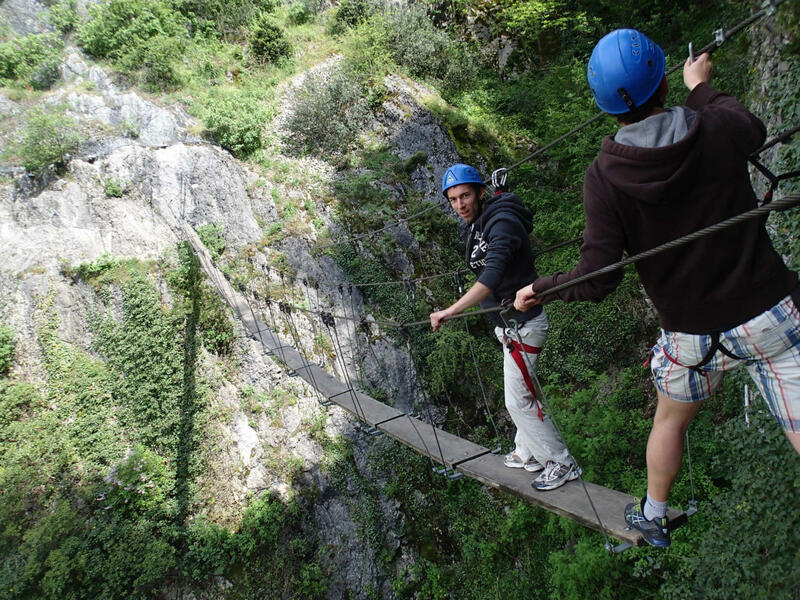 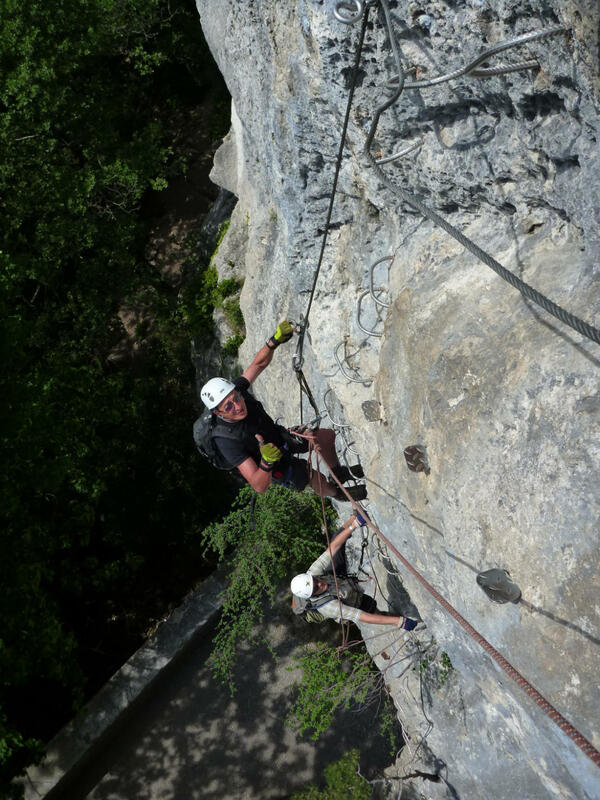 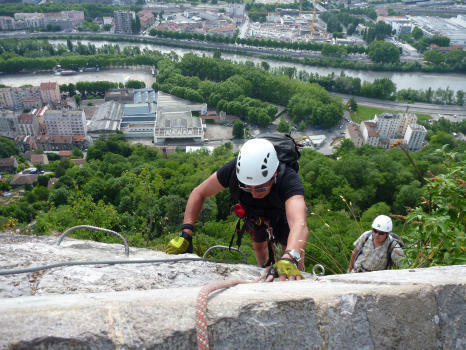 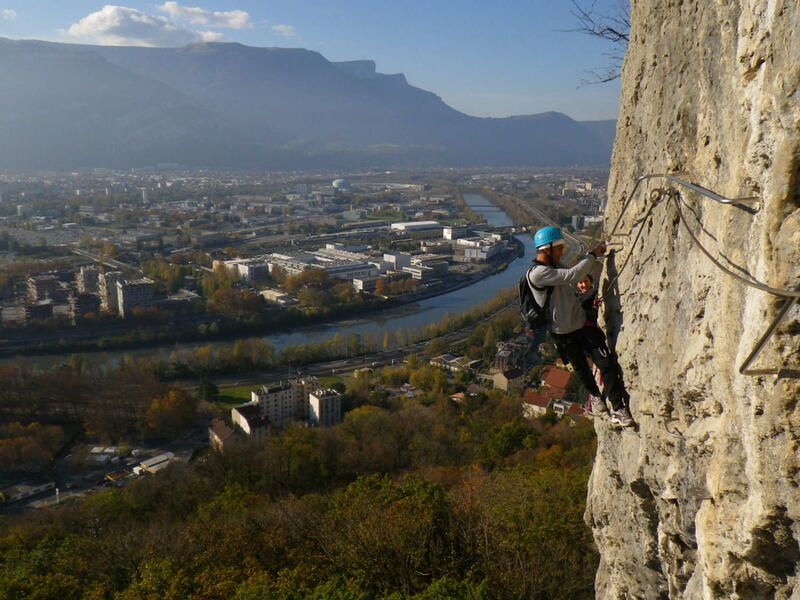 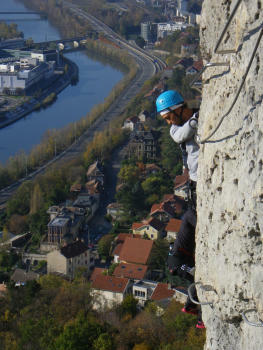 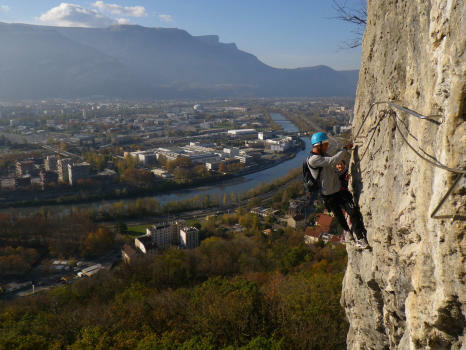 It is one of the most popular in France, this being due to its impressive parcours, varied and accessible to moderate-leveled climbers, and to its location : in the center of Grenoble! 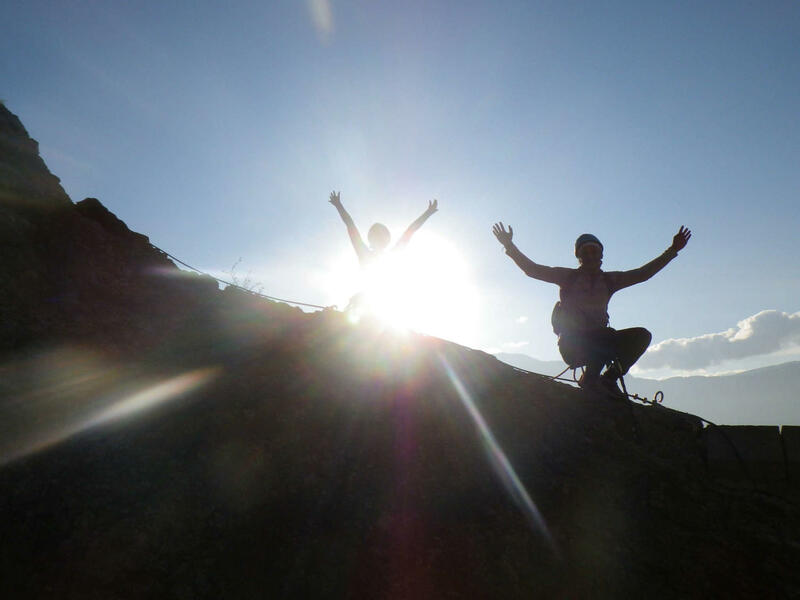 The first part starts with a vertical pilar of 90ft, followed by a wide traverse of a rocky cirque peppered with a beam, a monkey-bridge, a nepalese bridge, and more ! 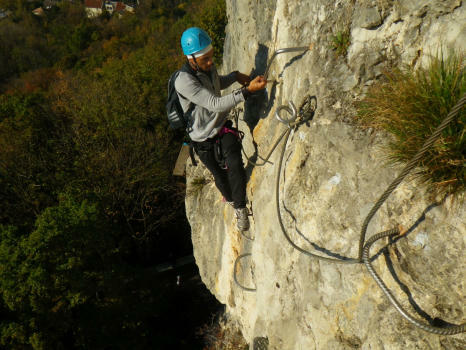 The second part is a bit wilder than the first one but just as interesting ! A common pilar leads to a wooden platform where it is possible to chose the difficulty to reach the top : to the right, a steep and physical traverse ; straight up, an easy pilar.